Hi there, Queensville here with another post. Summer is great for many reasons, which obviously include fun in the sun, and some of the great activities that I’ve been talking about over the past few weeks. Something else that’s awesome are the savings we experience on our gas charges once we shut off the heat. Saving money is always a great feeling – but what can we do to offset some of the other costs that tend to rise in the summer season? Our water use tends to soar as we run through sprinklers, water our gardens, wash our cars and – if we’re lucky – fill up our pools. There are a number of things you can do to keep your seasonal costs low. One option is using a rain barrel to harvest water. This is the process of collecting and re-using rainwater around your property for a multitude of activities/purposes. Another tactic you can do is to only use outside water during off-peak hours. This will help to avoid premium rates. As well, watering during the morning hours helps to reduce evaporation. 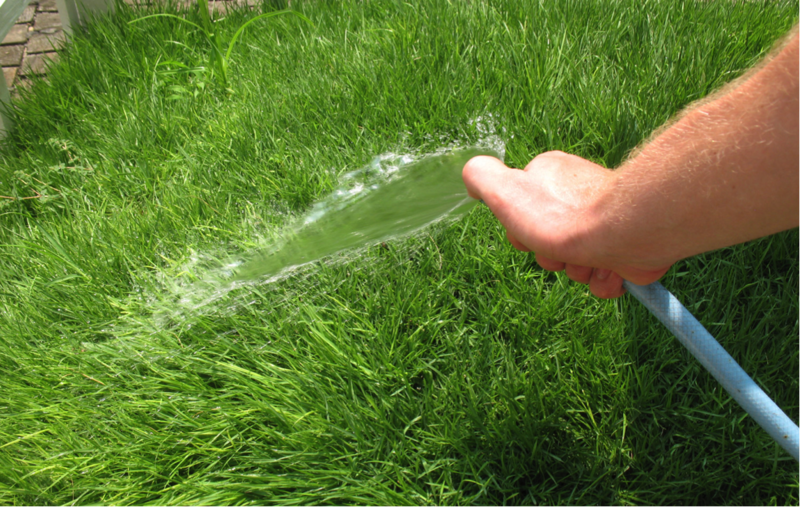 A great trick, when it comes to your lawn, is to leave your lawn clippings on your grass. This will actually help to keep it cool, and retain moisture. If you happen to be in the market for new appliances this summer, consider products that are certified high efficiency, as they use less water, which can help to create some surplus in your annual budget. Water can get expensive, but small, simple tweaks in your routine can help you keep some of that money in your pocket – where it belongs. Next week we’ll look at some tips to help you save energy in your home.